The Houston rapper also spoke about rumors that he’s having a baby with Kylie Jenner in a new interview with Billboard. 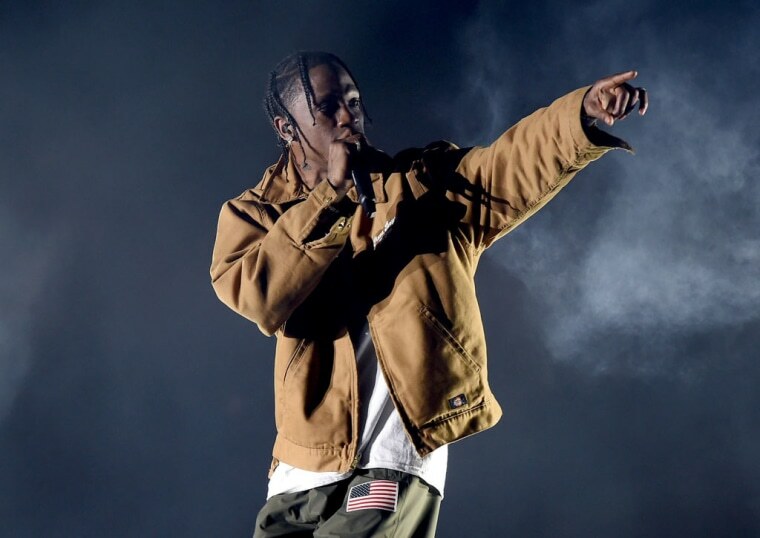 At the very end of 2017, Travis Scott and Quavo released their long-awaited collab project, Huncho Jack, Jack Huncho, but fans of the Houston rapper are still patiently waiting on his third studio album Astroworld. In a new interview with Billboard, Scott provided a few new details about his progress on the record, including a potentially featured artist. "My next album is going to have Stevie [Wonder] ” Scott said. “Well, I’m trying. 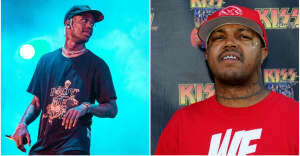 We’re talking.” It may help his cause that Wonder's 16-year-old son Kailand Morris is a huge fan of the Houston rapper. In September, Scott performed at Moriss's birthday party. Have you spoken to your father about becoming a father yourself? I don’t want to talk about that. They’re just guesses. Let them keep fishing. Has Kanye taught you anything about dating a fellow celebrity? Nah. I haven’t seen him deal with that. I just stay to myself. Read Travis Scott's full interview with Billboard here.